The Rotman School is located in downtown Toronto, Canada’s financial, commercial and cultural capital, consistently ranked one of the best cities in the world in which to live. Toronto is home to the third largest financial, technology, health sciences, and film and television sectors in North America, making it an exceptional place for our students to earn, study and launch their careers after graduation. 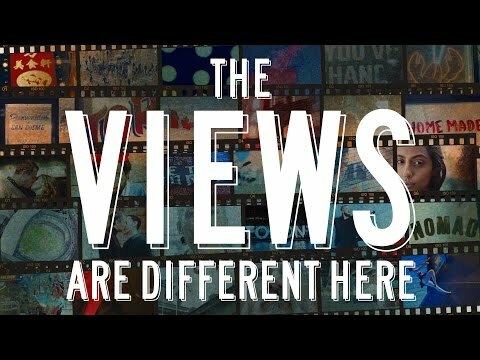 Toronto, Canada is one of the best places in the world? Don’t take our word for it. Toronto leaped ahead in annual North American tech talent rankings compiled by a Los Angeles-based real-estate services firm. Canada’s largest city jumped from 12th to sixth place in CBRE’s 2017 rankings, adding 22,500 tech jobs last year. Global liveability has improved for the first time in a decade. Toronto has maintained its position as the world's 4th most liveable city, behind Melbourne, Vienna and Vancouver. 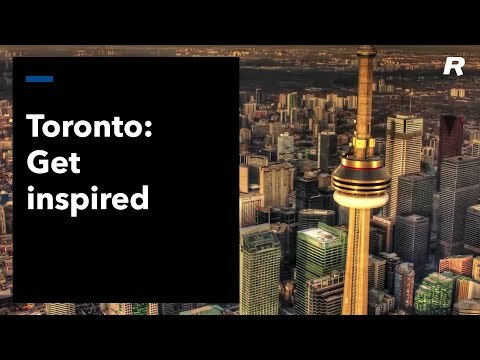 Toronto is a “City of Opportunity” and ranked as one of the best cities to live and work. PwC’s biennial global study, Cities of Opportunity 7, benchmarks 30 global cities against an extensive set of indicators and underlying variables. This year, Toronto rises one spot to 3rd overall out of 30 cities. A global survey on trends and innovations in financial services ranked Toronto as one of the top FinTech centres in the world. Richard Florida on living in the City of Toronto: "We live in a great city, with diverse ethnic neighbourhoods, great schools, low crime and free healthcare for everyone." According to CBRE's annual Scoring of Tech Talent Report, Toronto is the fastest growing tech market in North America in a ranking which looks at 50 US and Canadian markets according to their ability to attract and grow tech talent. Toronto was named one of the greenest cities in the world by MIT, in collaboration with the World Economic Forum. Each city has been scored based on the percentage of canopy coverage. Toronto received a result of 19.5%. Toronto ranked one of the best cities in the world. Where should you go on your next vacation? For many would-be travellers scouring Google and YouTube for ideas, apparently one of the top three answers is Toronto. Rotman students study just blocks from Bay Street (Canada’s business centre), and the School takes full advantage of its strategic location by drawing on a rich pool of business and political leaders. A wide variety of academic and research partnerships exist between Rotman and the corporate world. Rotman's close proximity to Canada's business centre means students can meet with industry professionals and Rotman alumni between classes at corporate headquarters located just minutes away, building the relationships that are crucial to success. Combine Rotman’s assets with the advantages of living and studying in Toronto, and you have one of the best places in the world to learn. Toronto is recognized as the world’s most multicultural city by the United Nations (ahead of London and New York City). Each year, Toronto attracts millions of visitors from around the world to celebrate diversity through its many festivals and annual events, including the Toronto International Film Festival, the Toronto Caribbean Carnival (Caribana), Toronto Pride Week, Taste of the Danforth, North by Northeast Music and Film Festival, and countless other concerts, art exhibitions, live performances and cultural gatherings. Toronto is known for its distinct communities, each with their own rich histories and cultural flavours to explore. As the cultural capital of Canada, you will never be far from the many attractions of Toronto’s vibrant arts and entertainment scene. Toronto is home to major industry clusters, including aerospace, automotive, biotechnology, health care, telecommunications, and tourism. With its eclectic mix of architecture, food and shopping, Toronto offers an enriching experience for those who work and study here. Asha and Christine, both graduates of the Rotman MBA program, know their cities. Los Angeles, New York, Montreal… hear what the have to say about Toronto.